Dead Space 3 is an incredibly polished action game continuing the story of the troubled engineer Isaac Clarke. While there are still moments of fright, players who have been in Isaac's shoes since the beginning know that the horror element has taken a dramatic hit in terms of gameplay. Isaac can now crouch, dodge and take cover, which is needed when you'll have to face human enemies throughout the 10+ hour campaign time. With fun co-op, a great weapon crafting system, and built for replayability, Dead Space 3 is one of the first great releases of 2013. The story in the game is well done, and once again features the fight to negate the effects of the markers that bring the necromorph threat to a critical level. This time there is a major antagonist who leads the Unitologists on their mission to activate the markers, and Isaac reluctantly decides to aid the remaining soldiers on a trip to a distant planet that holds the key to stopping the necromorphs. While the base game plays just as it did in the original two titles, Dead Space 3 offers up a chance to explore a bit more with several side-missions, with some that can only be accessed while in co-op mode. Another cool thing about this game is that you're not forced to have an A.I partner when playing alone, although you'll still interact with Carver, the soldier who the second player will control in co-op mode. The overall story is marked with a few surprising twists, but it may be things that you could predict. One of the coolest elements about Dead Space 3 aside from the co-op is the weapon crafting mechanic. Using a variety of parts and weapon frames, players can build their own weapons and mix together any combination of tools that they like. Want a shotgun/flamethrower weapon that contains acid damage while healing both players in co-op? Or a plasma cutter that also doubles as an SMG that slows down enemies when impacted? These two items are just the tip of what you can make in the game. You've no doubt heard about the DLC that offers players some of the best items that can be purchased, but I didn't really have a need to buy these items. Most of what you can buy anyway are already available in the game, and you can even use little scavenger robots to collect items for you, so when you return to a weapon bench, you'll find more items that you can use to create a better weapon. Aside from creating your own weapons, the bench also contains several blueprints that the developers have included, and you can even make your own blueprint that your co-op partner could use if they wanted. Co-op play in the game is great new feature. As Isaac and Carver, you'll complete the missions with different dialogue heard from singleplayer, and even participate in quick time events from a different perspective. Death is a bit easier to avoid in co-op as well, since players can be revived when downed by gunfire or necromorph attacks. While it may be a bit harder to die, you'll still have to be careful since the game will scale up enemies when in co-op mode. Co-op was something that the team wanted in the past Dead Space titles, and they have been able to properly implement it in this third game. With a lengthy campaign, the ability to create your weapons, co-op play, and a reward replayability factor, Dead Space 3 has a lot to offer. It looks incredible, and the sound is top notch, and the new focus on action isn't that big of a deal since Dead Space 2 was moving in this direction as well. Currently, Dead Space 3 is on sale, so you'll be able to save on this game, but I still felt that it was worthy of a $60 retail price. Play it when you can! 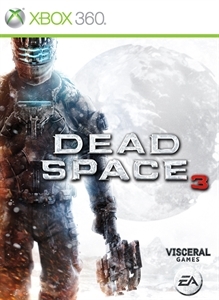 "Dead Space 3 brings Isaac Clarke and merciless soldier John Carver on a journey across space to discover the source of the Necromorph outbreak. Crash-landed on the frozen planet of Tau Volantis, Isaac must comb the harsh environment for raw materials and scavenged parts. He will then put his engineering skills to the ultimate test to create and customize weapons and survival tools."